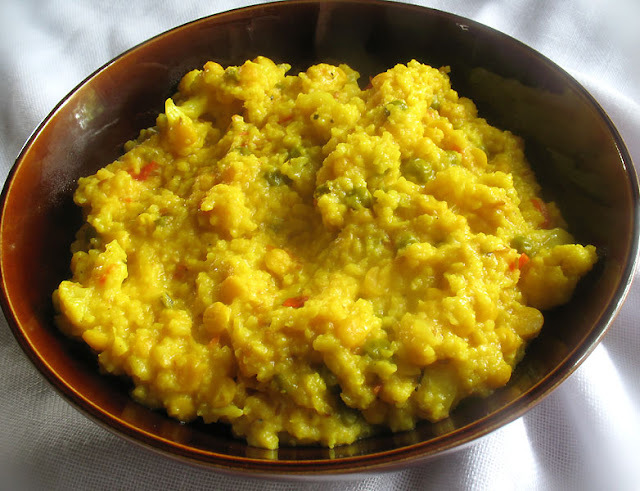 Kitcharis (or "khichdi") are an easy Indian meal idea that generally consists of rice and split legumes and often vegetables. 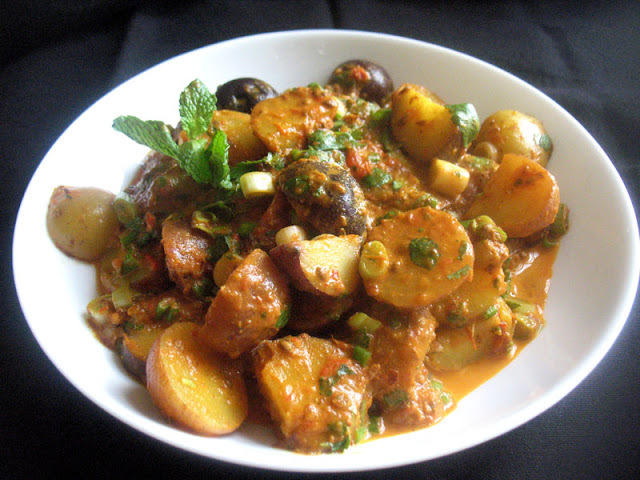 Very easy to digest, with a minimum of spices, all of your nutrients are served up in one glorious bowl. I used chana dal, basmati rice, cauliflower and green peas to keep us going for a few days. 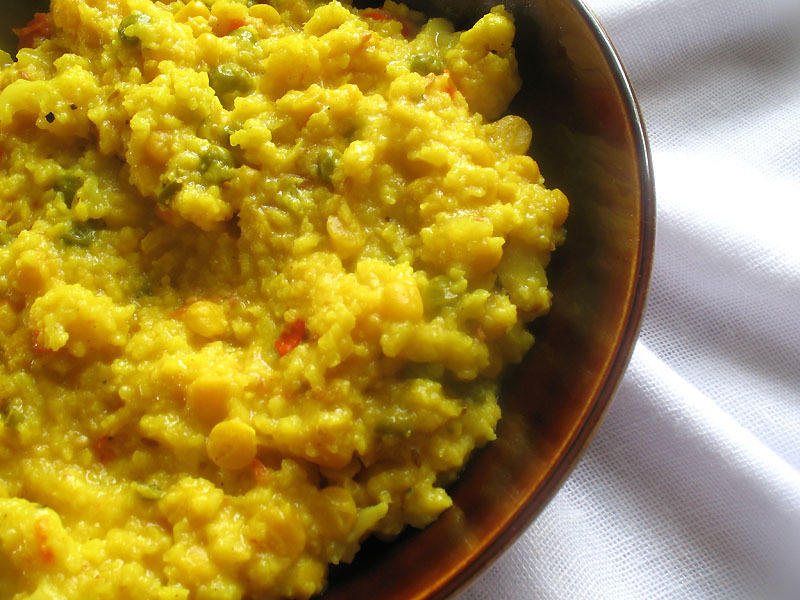 Thoroughly rinse the chana dal or split peas and soak in enough water to cover for 30 to 60 minutes. Drain and set aside. Meanwhile, thoroughly rinse the rice and soak in 2 cups of water for 30 minutes. 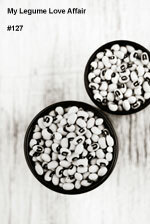 Drain, reserving the soaking water, and let air dry in a strainer for 10 to 15 minutes, tossing the grains occasionally. Heat the oil in a large heavy-bottomed saucepan over medium heat. When hot, add the shallot or onion, ginger, chilies and cumin seeds, and cook, stirring often, for 3 to 5 minutes until the shallot begins to soften. Toss in the asafetida, stir once, and then immediately add the cauliflower. Cook for a minute or two and then add the tomato, turmeric and garam masala. Cook for another 5 minutes. Add the rice and chana dal or split peas to the pan, stir for a minute, and then pour in the reserved rice soaking water plus an additional 3 1/2 cups water, coconut milk and peas. Bring to a boil, reduce the heat to low, and cover. Simmer until the liquid is absorbed — about 20 to 25 minutes. 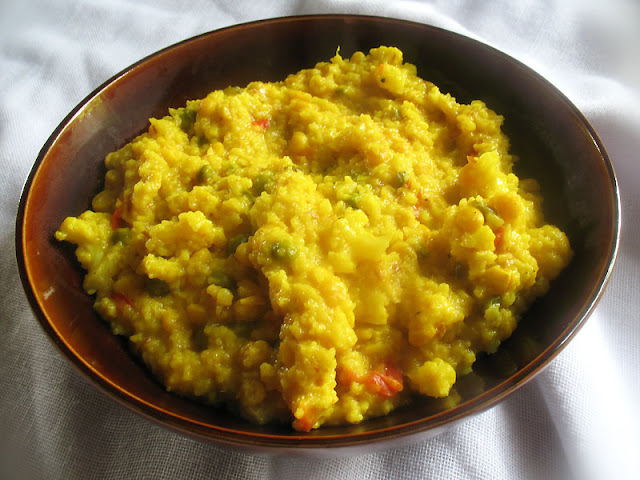 Remove from heat and let the kitchari sit for 5 minutes, then stir in the lemon juice and salt and pepper. Serve hot or warm. I've never made a kitchari before! But I have definitely been craving Indian flavors nonstop lately. Must try! This dish is really wonderful -- it has some of my favorite veggies (cauliflower and peas) and the addition of the coconut milk and garam masala makes it sooo flavorful. The only change I made was to reduce the amount of chilies. Much enjoyed and I will certainly make this again.